For the first time in Bulgaria an unusual exhibition will present the mysteries of the cinema. It will revive moments from the creation of iconic movie productions; will show costumes and items that have been touched by the legends of Hollywood. Original props, weapons and other artifacts will arrive from the Mecca of the cinema for the official opening of Galleria Burgas on May, the 15th and will remain here for three months. 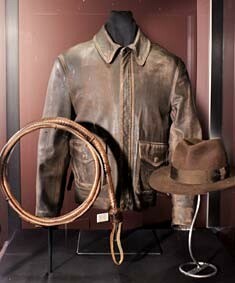 On an area of 200 square meters the exhibition Hollywood in Galleria will present attributes of 28 blockbusters. Storyboards /series of sketches, recreating the scenario/ will show every step of their creation and statues of the characters in real size will create the feeling that you are a part of the mystery of the films. Terminator will welcome the visitors of the exhibition; then they will fall into the unrest world of "Star Wars". They will see one of the most memorable characters of the fantastic cinema - huge scale model installation of the horrible walking machine from "The Empire Strikes Back." 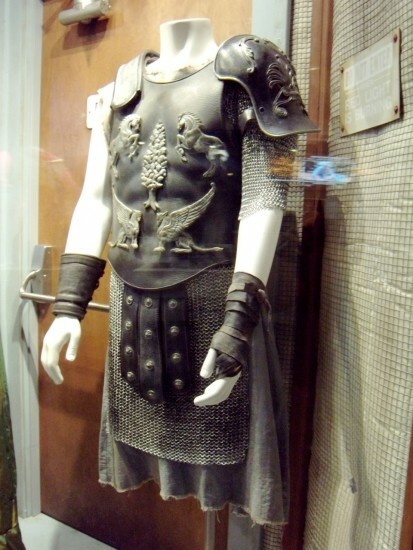 Here will be the original costumes used in "The Chronicles of Riddick," "Gladiator," "The Chronicles of Narnia", "Indiana Jones" and many other films. The armory will display swords, shields, knives and even the rifle of Nicolas Cage in the "Ghost Rider" and everyone will have the opportunity to touch and wave them and to feel as a super hero. The feeling of a unique journey through the cinema will be kept over time - the organizers of the exhibition have provided an opportunity for photos with the equipment and clothing of the favorite movie characters. "We began to prepare this exhibition three years ago, when we got in contact with a British company, that buys Hollywood film sets for various museums around the world," says Hristo Kotsev, director of Toolbox Marketing Bulgaria, whose idea it is for the world of Hollywood to come to Burgas. "Such exhibitions are made in many countries but for Bulgaria they are something new. Innovatively disposed, looking constantly for the non-standard and ready to experiment, GTC Bulgaria liked the project and supported us in its implementation. Our exhibition will start in Burgas and will later be presented in Stara Zagora, where it will be hosted by Galleria Stara Zagora. " A week before the opening of Galleria Burgas the city will be prepared for the movie surprises through the campaign "They are coming." Enigmatic film characters will get off the screen to be among the people on the streets and parks. The animators will run different lotteries and games as the prizes will be bestowed immediately. On May, the 15th the parade of movie heroes will pass through the center to bring the people to Galleria Burgas. There the Burgas Philharmonic Orchestra will perform movie soundtracks and a huge screen will show trailers of the movies. Hollywood in Galleria exhibition will be a natural prelude to the opening of Cinema City multiplex in the newest Burgas mall. So far, in the city there wasn&apos;t a movie-exhibitor with so many cinema halls and choices. Through Galleria Burgas here comes a leading multiplex operator with an 80-year history. Cinema City is the largest operator of multiplexes with 570 screens in Central and Eastern Europe.